Since December 2009, Vliegwerk Holland has a cooperation with Vliegtuigonderhoud Texel (VOT) to ensure Part145 maintenance. 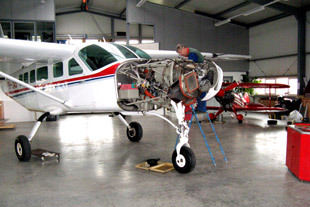 VOT has experience with aircraft maintenance since end '70 for piston and turbine powered aircraft. VOT moved to a brand new hangar in 2007, which ensure high quality maintenance under perfect conditions. 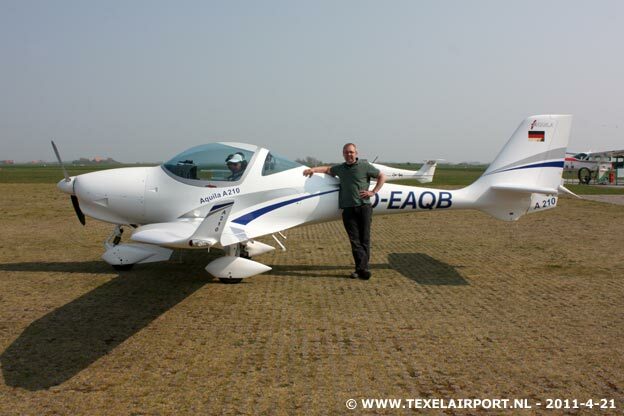 Click here for the website of Vliegtuigonderhoud Texel. Maintenance in progress in the VOT hangar. VOT and Vliegwerk Holland are both Approved service center for the Aquila.